BRUCE ROBERT HARRIS and JACK W. BATMAN are two-time Tony Award-winning Broadway Producers. Since 2005, they have produced over fifty plays and musicals for Broadway, London’s West End, Off-Broadway, regional theatres, and national and international tours and festivals plus many private and corporate events. Currently they are producers of King Kong and American Son, starring Kerry Washington at the historic Booth Theatre on Broadway, plus the London production of Magic Mike Live directed by Channing Tatum at the Hippodrome in Leicester Square. They are also producers of the upcoming Broadway production of Be More Chill at the Lyceum Theater, opening in March 2019 and Criss Angel Mind Freak, in Vegas. Last season they produced the Broadway revival of Rodgers and Hammerstein’s Carousel starring Joshua Henry, Jessie Mueller and Renée Fleming, and the record-breaking Puffs in Melbourne, Australia. 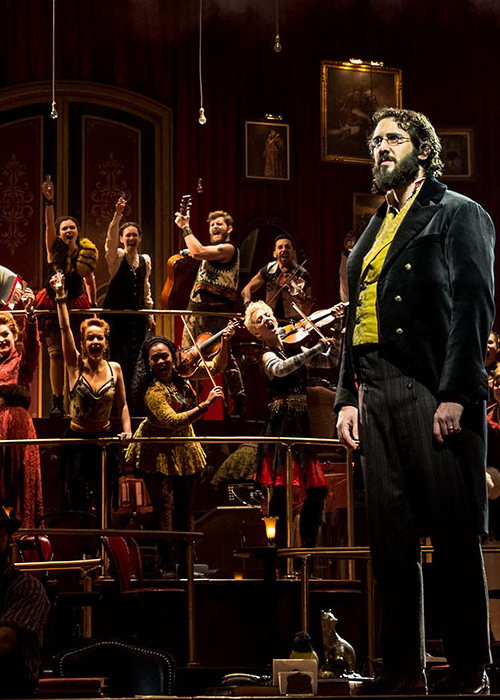 In 2016 their Broadway productions included Natasha, Pierre and the Great Comet of 1812 starring Denee Benton and Josh Groban and the Broadway revival of Noel Coward’s comedy Present Laughter starring Kevin Kline. Bruce and Jack were producers of the first-ever Broadway revival of the musical Pippin, which won the 2013 Tony Award, Drama Desk Award, Outer Critics Circle Award and Drama League Award for Best Musical Revival. 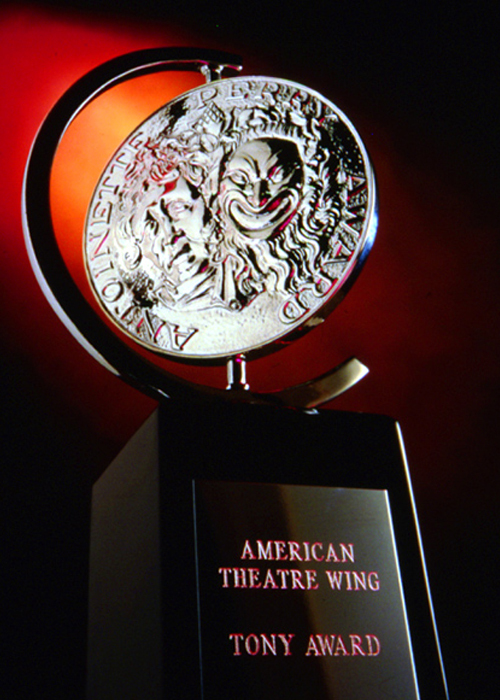 They also produced the first national tour of Pippin and its award-winning cast album. Their production of the Pulitzer Prize-winning Clybourne Park won the 2012 Tony Award for Best Play. Their 70th Anniversary production of the classic Bernstein/Comden and Green musical On The Town garnered them Tony, Drama Desk, Outer Critics Circle and Drama League Award nominations. They also produced the Broadway revival of Kaufman and Hart’s hilarious comedy You Can’t Take It With You starring James Earl Jones (Tony, Outer Critics Circle and Drama League nominations); Andrew Lippa’s oratorio I Am Harvey Milk starring Kristin Chenoweth which they presented at Lincoln Center; and the West End production of Kander and Ebb’s final musical collaboration, The Scottsboro Boys, which received the London Critics Circle Award for Best Musical, the London Evening Standard Award for Best Musical and four Olivier Award nominations. In Los Angeles, Bruce and Jack’s 2015 audience-immersive, environmental production of the legendary Carrie the Musical brought them a Los Angeles Drama Critics Circle Award and five Ovation Award nominations including Best Musical. They also produced the Off Broadway productions of a new play Straight and the revival of the Tony Award-winning comedy The 39 Steps. Other recent credits include the Broadway productions of the Gershwin musical Nice Work If You Can Get It starring Matthew Broderick and Kelli O’Hara, which won 3 Tony Awards and received 10 Tony Award nominations; Bonnie & Clyde (3 Tony Award nominations); the Broadway production of The Scottsboro Boys (12 Tony Award nominations); The Judy Show starring Judy Gold and Leslie Jordan’s My Trip Down The Pink Carpet both Off Broadway; and Andrew Lloyd Webber’s By Jeeves and My Trip Down The Pink Carpet in London’s West End. In addition, Bruce and Jack are founding producers of GAYFEST NYC, Inc., a not-for-profit arts organization that discovers, develops and produces new theatre works arising out of the LGBT experience and, as its mission, underwrites and supports in-school elective and mentoring programs and college scholarships for students of The Harvey Milk High School, a fully-accredited, voluntary NYC public high school focusing on the educational needs of children who are in crisis or at risk of physical violence and/or emotional harm in a traditional educational environment. Since June 2007, GAYFEST NYC, Inc. has provided 43 scholarships to graduates of the school. For the White Plains Performing Arts Center they produced two seasons of major musical revivals: Man of La Mancha, Ragtime, Ain’t Misbehavin’, How to Succeed in Business Without Really Trying, Camelot, Oliver! and a highly acclaimed production of A Little Night Music directed by Sidney J. Burgoyne and starring Tony Award nominees Penny Fuller and Mark Jacoby. Bruce and Jack are also highly experienced Executive Producers and Event Producers with numerous credits separately and together. Bruce is a graduate of Juilliard, a very successful former dancer and international entertainer and a startlingly inventive producer of theatre, recordings and special events. Jack began his professional career in the legendary mailroom at the William Morris Agency. His background includes major theatre casting and film production and he was one of a small team that founded Chelsea Piers in New York City. Bruce and Jack met at and are graduates of the Commercial Theater Institute.